We’ve all been there. That heat that builds just behind your eyes from embarrassment, sending a rush of red through your cheeks. Guests are on the way, and suddenly you don’t feel as though your home is “up to snuff”. 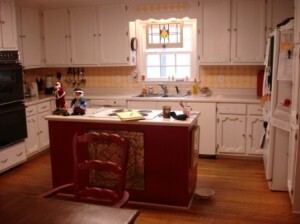 No matter how thoroughly you clean it or how low you dim the lights, it’s still just an ugly, cramped, outdated kitchen. 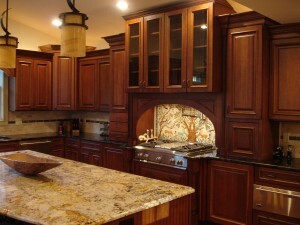 It’s no wonder that kitchen renovations lead the pack of most popular remodeling projects among homeowners. It is – after all – the heart of the home. Kitchen remodels are also not bad investments when considering the future – a time when you might actually consider putting your home back on the market. In 2011, even with the housing market in a major slump across the nation, homeowners in the South who were selling homes where kitchen renovations had been completed saw a very nice recoup of the remodeling cost at the closing table. For minor kitchen renovations starting at a little over $21,000, homeowners saw an average of 72.1% of their cost recouped, whereas major kitchen renovation of more than $58,000 witnessed a 65.7% recoup*. At Highlight Homes, we know from a personal standpoint that kitchen renovations are among the most popular projects we take on for our clients. As a matter of fact, we are currently hard at work on one right now. Not only do we love helping families transform one of the most important rooms of their home, we’ve been recognized by publications like Remodel Atlanta Magazine and Atlanta Home Improvement Magazine for our work. Most recently, we were awarded a Gold OBIE Award from the Greater Atlanta Home Builder’s Association and The Atlanta Sales and Marketing Council for Best Kitchen Remodel under $75,000. If you’ve been considering having your kitchen remodeled by a team of professionals, we hope you’ll consider the talented design-build team at Highlight Homes. Who knows? YOUR KITCHEN could be the next one featured in the pages of an interior design magazine or be the focus of our next award-winning project! To get started with a no-obligation consultation, call us today at 678-873-9234, e-mail us info@highlighthomesga.com, or fill out our quick and helpful online contact form. To learn more about Highlight Homes, please visit us online at www.highlighthomesga.com and check out our online portfolio!